This page is for uploading images and multimedia to the English Wikipedia. Please go here to ask image and media questions, or here to upload an image if you don't have an account. To create a new article, please see the Article Wizard. You can also find out where to ask questions or experiment with editing. 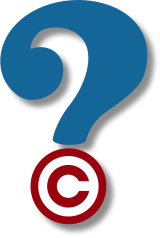 If you upload content in the public domain, or under the GNU Free Documentation License or a Creative Commons license, that license is irrevocable. Are you uploading a free image or media file? Please upload it to the Wikimedia Commons through this upload form. Items uploaded to the Commons can be used on Wikipedia and other Wikimedia projects, helping to create a central repository of free images and multimedia. If you are familiar with our image policies and already know which license applies, go directly to the upload form. Where is the media from? This page was last modified on 15 April 2011 at 07:33.